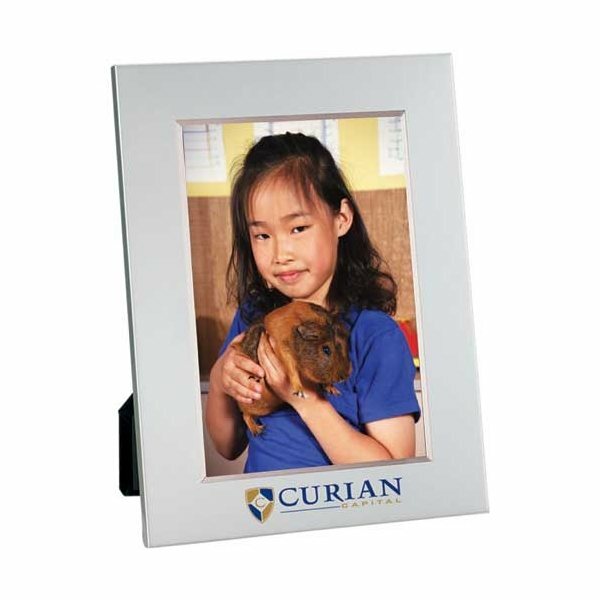 Metal Frame for 5x7 pictures in vertical or horizontal display. What I liked the most. Cost and Quality The personalization was an additional plus. this is our second year to use them. I am sure we will reorder each year. Everybody loves this item! Not one complaint. The artwork ended well.